Mental Health Records in Iowa Family Law Cases - Bray & Klockau, P.L.C. - Bray & Klockau, P.L.C. This article was published in the Winter 2009 volume of the ABA Section of Family Law Family Advocate. Adoption creates permanent family ties between parents and children who do not biologically share that relationship. As might be expected, these ties come with a host of legal obligations and consequences. Step-parent adoption, the most common type of adoption, occurs when the spouse of the child’s biological custodial parent wishes to take full responsibility for the child. The step-parent adoption releases the non-custodial parent of his or her obligations, including the duty to pay child support. Both custodial and non-custodial parent must consent to the adoption. The non-custodial parent has the right to object to and attempt to prevent the adoption, though the laws governing these rights differ from state to state. In some states the stepparent may adopt the child over the objection of the non-custodial parent if the non-custodial parent has not been in contact with the child for a specified period of time. In the absence of consent from the non-custodial parent, courts generally require a termination order. 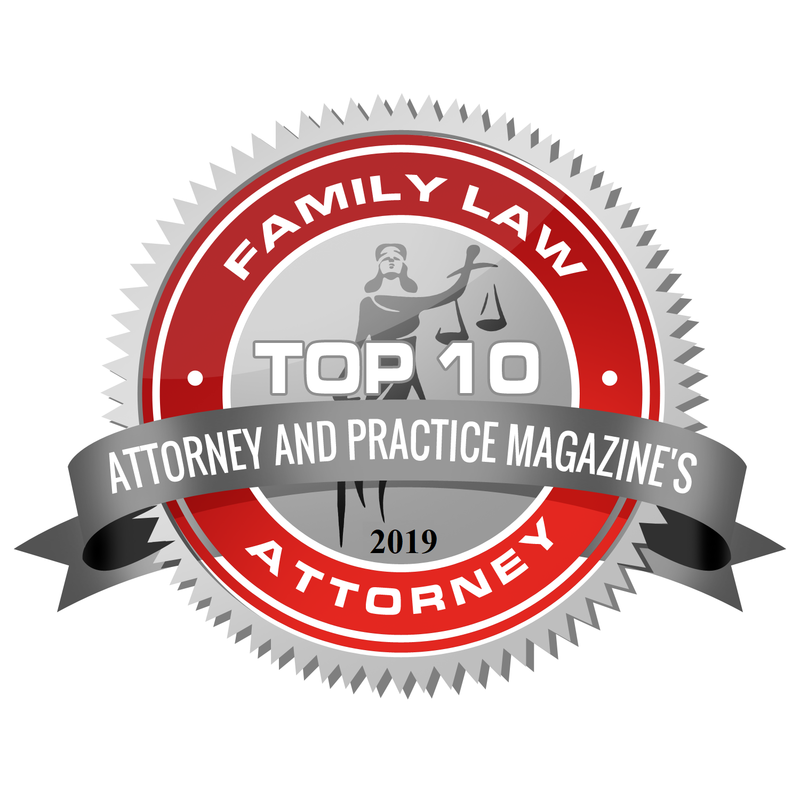 Some states make an exception to this requirement in the case of unwed fathers who have neither significantly supported nor established a relationship with the child. The U.S. Supreme Court has upheld such statutes. See Quilloin v. Walcott, 434 U.S. 246 (1978) (holding that a state may limit the rights of unwed fathers to object to the adoption of a child). Despite the consent-or-termination-order requirement, step-parent adoptions are less difficult to complete because the adoption is assumed to be proper. There may be little need for a home study because the custodial parent has already chosen to place the child in the home with the prospective adoptive parent. States sometimes consider the length of the marriage between the stepparent and the custodial parent before granting an adoption. Likewise, some states require step-parents to verify they have no serious criminal background and are not on the child abuse registry. The second most common type of adoption is one arranged between strangers, usually by an adoption agency or an attorney. Birth parents of children placed for adoption with strangers may voluntarily surrender the child for adoption or may lose parental rights to the child through a court-ordered termination of parental rights. A birth mother may express her intent to relinquish her child before the child’s birth, but such intentions are not enforceable agreements. The birth father may join the birth mother in voluntarily relinquishing a child, or may contest the relinquishment. All states have procedures that recognize a birth father’s lack of action as a basis for a court to terminate his parental rights. States also have various requirements for providing notice to birth fathers, including procedures that address how to provide notice when a father’s identity or whereabouts are unknown. Adoption can be expensive. Costs may include fees for an application, a home study, placement services, post-placement observation and counseling, attorney’s services, birth parent expenses, and administrative work for adoptions that cross state lines. Additionally, some children have needs that impose continuing costs. Although adoption falls primarily within the control of state law, federal legislators have passed a number of laws affecting the states’ foster care and adoption practices. Most of them focus on encouraging adoption through subsidies and tax credits. In 1980, Congress passed the Adoptive Assistance and Child Welfare Act to discourage permanent removal of children from their homes whenever possible, to reduce the number of children in foster care and the amount of time they spend there, and to facilitate reunification with birth families or permanent adoptive placements for children in foster care. The legislation created the Title IV-E subsidy, also known as adoption assistance. Applicants seeking adoption assistance were required to meet specific criteria to qualify for the program. Larger awards were available when children had greater needs. Subsidies often were available only to parents who adopted a child with special needs as determined by federal legislation. In 1997, Congress passed the Adoption and Safe Families Act to address shortcomings in the initial program. The new program focused above all else on the child’s health and safety. The Adoption and Safe Families Act authorized federal grants to states that increased the number of adoptions. States that placed larger numbers of special needs children received larger incentives. A special needs child is one the state can neither return to biological parents nor place with adoptive parents without providing financial assistance to address the child’s long-term needs. A child may have a special need because of age, ethnicity, or a mental, medical, or emotional disability. The child also may be considered to have special needs if he or she is part of a sibling group that should be adopted together. The Adoption Promotion Act, passed in 2003, provided greater subsidy assistance for the adoption of older children and those with special needs. To receive federal incentive payments, states must provide medical insurance benefits to adoptive children with special needs. States distribute federal payments to state agencies and to private agencies that contract with the state. The agencies then grant subsidies to adoptive parents, adoption services, and technical assistants to cover some costs and thereby facilitate adoptions. Adoptive parents typically must request adoption subsidies before an adoption becomes final. However, when important information about the child’s health or mental condition were undisclosed or not discovered before the adoption, adoptive parents may apply for subsidies after the adoption is final. Also, parents who waived a subsidy entitlement under the program may request the benefits later if the state failed to fully explain the present and future benefits of the assistance program. However, an agency may not be held legally liable for failure to disclose information to the adoptive parents because the agency does not have a fiduciary obligation to the parents. The best way to avoid post-adoption requests for a subsidy is to wait to finalize an adoption until the adoptive parents know all the rights and benefits available to them so that they may make an informed decision about how to accommodate their future needs. The federal government also provides tax credits to adoptive parents. Certain adoption-related expenses, up to a set amount, may be subtracted from adoptive parents’ total tax liability. The amount varies based on the type of adoption and the parents’ income. The credit allows deductions of expenses attributed to reasonable and necessary adoption fees, court costs, attorney fees and other expenses that are directly related to the legal adoption of an eligible child. The tax credit is available for children younger than eighteen (18) as of the time of the adoption or children who are incapable of caring for themselves. Parents who adopt children with special needs receive the full tax credit without being required to itemize expenses. A credit is not available when adopting the child of a spouse. The child must be a resident of the United States to qualify for the tax credit. After the adoption is finalized, the tax credit is available for the tax year in which the adoption expenses were paid or incurred even if the adoption was not finalized in that year. The adoptive parent cannot claim a credit on any expense that may be deducted elsewhere. Adoptive parents should keep meticulous records of all adoption-related expenses and the child’s needs to receive the greatest benefit from the tax credit. An “open adoption” involves an agreement between birth parents and adoptive parents to maintain some degree of ongoing contact. The main issue of many of the agreements is the visitation rights of the birth parents. The birth parents and adoptive parents create a written commitment to the child. The parties to open adoptions generally have different goals they hope to achieve through the written post-adoption agreement. The agreements help to alleviate fear about the future roles of the parties and to clarify the parties’ expectations of each other. Post-adoption contracts are not legally enforceable in all states, though they may act as a written reminder of the commitment to work through any future problems. On the other hand, some states have passed detailed legislation encouraging post-adoption agreements (see, e.g., RI ST § 15-7-14.1). Adoptive and biological parents may consult attorneys and adoption professionals to mediate the agreements. Mediation may benefit the parties by raising all of the important considerations and consequences of the agreement. Mediation encourages permanency of adoptions without excluding the birth family from the child’s life by facilitating communication between the parties and articulating each of their expectations. From the 1920s to the 1980s, confidentiality characterized nearly all adoptions. Secrecy continues to prevail in most adoptions today. Courts close adoption proceedings to the public and generally seal adoption records, including original birth certificates. Birth parents and adoptive parents often do not know each other’s identities and typically agree not to contact each other. States often issue second birth certificates upon adoption that list only the child’s new name and the names of the child’s adoptive parents. In most states, courts open records only upon mutual consent of all parties or a judicial finding of good cause. The rationale is that the adoption replaces the child’s former identity with a new one. Adoption legally and irrevocably severs the child from her previous family. Confidentiality has long been thought to serve the interests of each party to the adoption. Those who enforce confidentiality maintain that it protects birth parents’ privacy and helps them achieve closure after placing a child for adoption. Likewise, advocates say confidentiality calms adoptive parents’ fears that birth parents may appear to reclaim a child or otherwise disrupt their family. Some who believe confidentiality diminishes confusion for adopted children, strengthens a child’s bonds to new parents, and removes any stigma associated with the child’s origins also support sealing preadoption records..
Secret adoptions have not always been the norm, however. Before U.S. adoption was codified, parents who raised children not related to them biologically did so informally and with no apparent concern about confidentiality. Early adoption statutes similarly contained no secrecy provisions. Prior to 1920, newspapers routinely published the names of parties to adoptions. The first confidentiality measures were designed to shield adoption proceedings from scrutiny by the general public, not from other parties to the adoption. (See 1916 N.Y. Laws Ch. 453, § 113, 1917 Minn. Laws Ch. 222, p. 337.) Starting in the 1920s, on the urging of professional social workers and placement agencies, states began to implement confidentiality provisions concerning adoption. Before long, confidentiality and complete severance of pre-adoption ties was the norm. In the 1980s, the pendulum began to swing back toward less secrecy. Researchers found many birth mothers grieve for many years for the child they placed for adoption, and that their suffering is exacerbated by lack of access to information. Studies similarly have identified a “genealogical bewilderment” among some adopted children who have no information about their pre-adoption history. Even children who say they are not interested in a birth family search indicate they want more information about their background. Adoptive parents, too, are looking for more information about their children’s history and birth families. Confidentiality provisions in adoption law preclude disclosure, frustrating these desires for information. In response, some states have implemented provisions that allow varying degrees of access to adoption records. As there continues to be no consensus on the amount of information that should be divulged, most provisions strike a balance between privacy of parties and disclosure. The most common compromise is two-pronged. Non-identifying information is available on demand, but identifying information is available only upon the mutual consent of the parties. Non-identifying information often consists of medical information, social background and family medical history information. Most states require adoption agencies or intermediaries to collect, or make a reasonable effort to collect, extensive non-identifying background information on children and birth parents to share with adoptive parents at the time of adoption. However, states vary widely on requirements to maintain such information after the adoption, which means it may or may not be available for an adoptee later. Statutes typically do not impose liability on agencies that fail to disclose information at the time of adoption unless the agency intended to prevent adoptive parents from getting important information about a child’s background or medical history. Conscientious attorneys will collect as much information as possible at the time of the adoption, provide as much information to the adoptive family as the law of the jurisdiction allows, and maintain all of the detailed information in a file. Access to identifying information continues to be tightly controlled. Some states allow access only through a mutual consent registry or a search-and-consent procedure. Mutual consent registries are state systems by which the parties to an adoption can register their willingness or unwillingness to meet other parties. Unless both parties register a formal consent, no information is disclosed. Search-and-consent provisions authorize public or private agencies to help an adoptee or adoptive parents search for birth families and to inquire about a meeting or about disclosing identifying information. A court may approve disclosure if consent is obtained. Where states have not implemented such provisions, a court generally requires a showing of good cause to provide access. States vary in what constitutes good cause and what standard of proof suffices. “Variations of the good cause exception, which are found in many statutes, include: good cause as demonstrated by clear and convincing evidence, good cause shown in exceptional cases, a showing that it is in the best interest of the child or the public, health or medical reasons, showing of compelling reasons, and a showing that disclosure would be of greater benefit than nondisclosure.” (Hollinger, supra at § 13.01[a][i]). A court balances the need for the identifying information, the circumstances and desires of the adoptive parents, the circumstances of the biological parents, the desire of at least the birth mother, and the interest of the state in maintaining a system of adoption. Id. At § 13.01[a][ii]. Usually a finding of a specific medical or psychological need constitutes good cause. Most courts will not grant access to identifying information for general emotional distress or mere curiosity, however. The Interstate Compact on the Placement of Children (ICPC) is a uniform law enacted by all 50 states, the District of Columbia, and the U.S. Virgin Islands. The ICPC governs when a child born in one state will be adopted by parents who live in another. The ICPC establishes procedures for the transfer and serves as an agreement between the states to cooperatively ensure certain protections for the child. The goal is to provide the same safeguards and services to children placed out of state as children adopted within their birth states. All adoption attorneys should be familiar with the provisions and requirements of the ICPC because nearly every adoption across state lines triggers ICPC requirements. 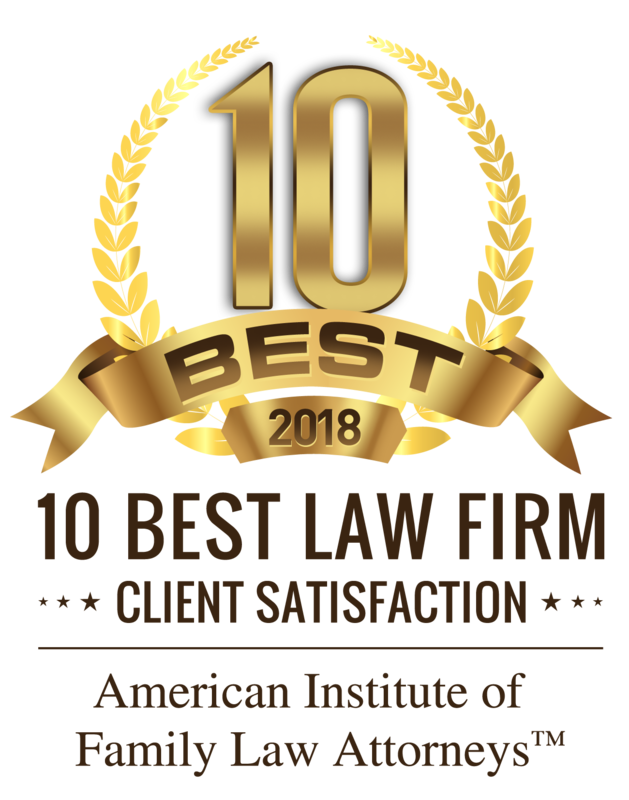 An attorney’s failure to follow ICPC procedures violates the law of both the “sending” state (the state in which the child was born) and the “receiving” state (the adoptive parents’ home state). While the ICPC itself does not prescribe sanctions for noncompliance, statutes and case law in many states do. Criminal sanctions can also be imposed. The ICPC itself provides legal authority to remove a child from a non-conforming placement. The ICPC covers placements before adoption, into foster care or residential treatment, with parents and relatives when a parent or relative is not making the placement, and into institutions for adjudicated delinquents. Through the ICPC, states can monitor those who care for a child placed in another state and compel the return of children when an out-of-state placement fails to serve the child’s best interest. Any state party, any court in a party state, and any person, corporation, association or charitable agency in a party state must follow the ICPC. The Compact does not apply to placements in medical and mental health facilities or boarding schools. It also excludes placements made by a parent, step-parent, grandparent, adult brother or sister, adult aunt or uncle or a child’s non-agency guardian when a child is placed with another close relative. Each state has an Interstate Compact Administrator who reviews all documents and provides written approvals. The sending state must approve the child’s departure from the state and the receiving state must approve the child’s arrival. The child cannot leave the sending state until both compact administrators agree the transfer can be made. It is important for adoptive parents to understand that the ICPC provides a state with authority to remove a child from a potential adoptive placement if ICPC procedures are not followed. Many adoptive parents fear that this administrative process will be long or difficult, however, the process will go smoothly with careful planning. Completing and submitting the ICPC application as early as possible will facilitate a smooth process and prevent delays when it is time for the child to leave the sending state. 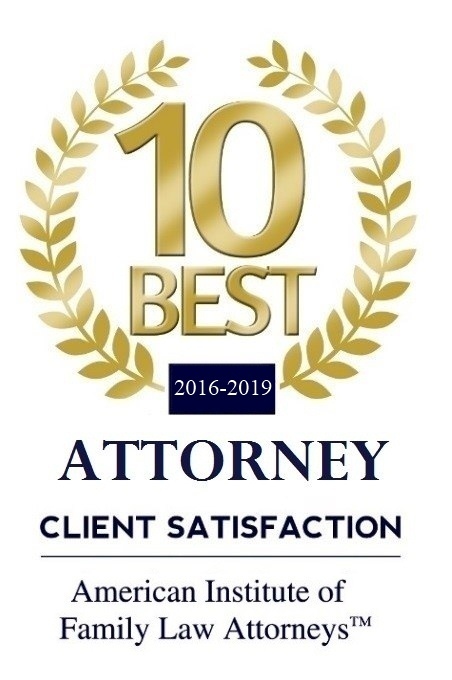 Attorneys also should contact the compact administrator in each party state early on to determine whether there will be any special requirements that could complicate the adoption. Each state varies in document requirements. The attorney should try to determine what else is necessary for the ICPC prior to the child’s birth, if possible. Conflicts can arise between the procedures each ICPC administrator requires. Although in theory the ICPC is a “uniform law,” there are different requirements in almost every state. Every state’s compact administrator requires evidence the child involved is adoptable. “Adoptable” means certain documents are submitted showing that the legal process can take place, including parental surrenders, termination of parental rights, and other court documents. In addition, compact administrators must have the child’s birth and health information. If the child has a health issue, the compact administrator must assess whether the adoptive parents are aware of and prepared to handle the condition. Also, proof must be provided to show the child was born to the woman who signed the surrender. The compact administrator must have evidence that shows the prospective adoptive family is suitable and informed, including a home study that shows the family has been studied and approved. The administrator also needs evidence the adoptive family or parent knows the nature of the placement and that members of the family have not been placed on the child abuse registry or committed any serious crimes. Evidence also must be provided to the administrator to show the birth parents’ rights have been protected. Documents to accomplish this goal include those that prove the birth parents were offered or completed counseling, that proper notice was provided so birth parents had the opportunity to be heard, and that the child’s situation will be followed by an agency or other entity until the adoption is finalized. The compact administrator must have the name and address of the agency or individual who will supervise the placement. The recommended processing time varies from the date the receiving state compact office gets the notice of the placement until the date of placement. Adoptive couples should expect the ICPC process itself to take at least two weeks. In some states the process could take considerably longer. Attorneys must remember that although the ICPC can be time consuming, the requirements are fairly straightforward. Clients often get impatient and frustrated with having to stay in the sending state until officials approve the child’s transfer. They understandably are anxious to go home. However, they must remember that the consequences of an illegal or incorrect ICPC placement are serious. Violating ICPC requirements can disrupt the adoption and have long-term detrimental effects on the child. 1. The ICPC form 100A. 2. The adoptive parents’ home study with updated criminal background and child abuse registry checks. 3. The child’s medical discharge summary and medical information about the child. 4. A certified decree terminating parental rights or equivalent documents. 5. Birth parent medical and social background histories. 6. Copies of the release of custody or irrevocable consent to adoption. 7. Proof the putative father registry was checked, if applicable. 8. Proof an offer of counseling was made. Some states require that birth parents obtain counseling. 9. A “legal risk” form, if applicable (when no termination of parental rights has occured). 10. Proof that the Indian Child Welfare Act has been complied with, if applicable. Relinquishment of parental rights occurs when biological parents voluntarily give up legal rights to their child, making it possible for someone else to adopt the child and secure subsequent parental rights. Relinquishment, also referred to as voluntary termination of parental rights, is the first step in the adoption process. “Consent” usually refers to the process of relinquishment to adoptive parents, while “release” refers to a surrender of parental rights to an agency or other guardian, though the terms for surrendering parental rights often are used interchangeably. Many times a state statute mandates whose legal rights to a child must be relinquished before the child may be adopted. The consent of the biological mother always is required regardless of her marital status. In recent times, the definition of mother has been disputed because of in-vitro fertilization and surrogate pregnancies. Many states consider the woman who gives birth to be the legal mother, but make exceptions where the birth mother was simply a gestational carrier genetically not related to the child. Where the parental relationship has been agreed to in writing prior to the birth the court usually looks to the intent of the contract. The legal mother often is the intended mother determined in the contract. The general rule is that living biological parents must relinquish their parental rights before a child can be adopted. Where adoptions are encouraged and permanency is a priority, this rule may be flexible to meet the need of the child. Statutes sometimes provide circumstances in which consent may be waived. State laws governing waiver of an unwed father’s parental rights vary between states. Proper notice to biological or putative fathers is always required. The consent of fathers not married to a child’s biological mother is not always required. However, if paternity is clearly established and if the father has assumed a certain degree of responsibility for the child he may contest the state’s waiver of his consent. The legal guardian or institution responsible for the child must consent if neither biological parent is living. State laws differ on how a parent formally relinquishes parental rights. Some states require the parent to relinquish parental rights through a judicial process before the court. Parents may, in some states, relinquish their rights to an agency without a formal judicial proceeding. Relinquishment may not fully terminate parental rights, but may only be part of a larger process to achieve full termination. In some states, a birth parent may not relinquish his or her parental rights before the birth of the child. Even states that allow relinquishment before the birth of the child may not allow complete termination of parental right until after the child is born. State legislation determines how long after the birth of the child parents must wait before relinquishment. The birth parent may be able to immediately relinquish parental rights after the baby is born or may have to wait several days. After a parent relinquishes rights to a child, legal rights may either be transferred to a state or private agency that will facilitate the subsequent adoption, or be transferred directly to adoptive parents through an adoption proceeding.. In some states, a parent may revoke consent within a number of days or months. No state requires a birth parent to sign a consent form even if they have already received financial benefits from the adoptive parents or an agency. Birth parents who change their minds about relinquishing a child may have to refund money already received for the adoption. When adoptive parents obtain consent through fraud, duress, or misrepresentation, a birth parent may have the opportunity to revoke consent even after the consent period. If both biological parents do not relinquish their parental rights, the court must terminate those rights before finalizing an adoption. When parental rights are terminated biological parents usually have no right to be notified of the child’s subsequent adoption. An adoption decree finalizes an adoption. Some states require a court to consider the relinquishment and adoption of a child in a single proceeding. Such a requirement helps to avoid situations where the court refuses to grant one or both of the actions, leaving the child essentially parentless or leaving the adoptive parents childless. Some states require the consent of the minor being adopted when the child has attained a certain age, generally 10, 12, or 14, although some jurisdictions leave the determination up to the court. Attorneys must take special care when securing consent because the clients will be best served if the parties make informed, thoroughly contemplated decisions. Intercountry adoption provides an alternative adoption opportunity for American parents. Intercountry or international adoption refers to the adoption of a child born in one country by adults who are citizens of another. Generally the adoption includes the child’s immigration to the adoptive parents’ home country. When Americans adopt a child internationally, they may or may not be required to “re-adopt” the child in their home state. Whether required or not, most authorities recommend re-adoption (Hollinger, supra at § 10.03[c][iv]). Re-adoption refers to a court order that finalizes an adoption in the state where the adopted child and adoptive parents live. Re-adoption always is required when the child’s adoption was not finalized abroad according to the requirements of foreign law and U.S. immigration laws. Id. When the adoption was finalized under foreign law and in accordance with U.S. immigration law, some states recognize the foreign decree as final and some do not. States that do not recognize the foreign decree require re-adoption. States that do recognize such a decree may tell parents that re-adoption is optional. Even when a state recognizes the foreign decree and does not require re-adoption, parents are well-advised to complete a re-adoption. Id. The process is relatively simple, and the benefits are worthwhile. A state adoption decree provides legal protection for the child in his or her adoptive family. A state decree also creates a set of U.S. official documents attesting to the child’s birth and adoption. Replacing U.S. documents is generally much easier than replacing similar foreign paperwork, should the need arise.